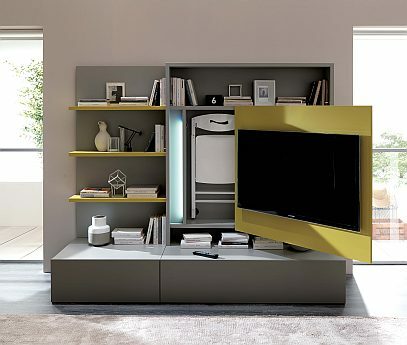 Ozzio’s Smart Living is an all-in-one storage system with swivel TV screen. It not only neatly hides messy media cables etc. but has built-in storage for a pull-out, extending dining table (in a lower cupboard) plus space behind the TV screen for storing the dining chairs. Be impressed. It’s also modular so you can choose to have bookcases/no bookcases or configure it as you like. Lots of different colours and finishes too. The Newood (above & below) is a transformable coffee table which turns into a large dining table, and the hidden gas-lifting mechanism won’t leave you feeling as if you’ve done a full work-out before dinner. When it’s fully extended it’s large enough to seat up to ten people – so, start writing those dinner party invitations. Really, no excuse. 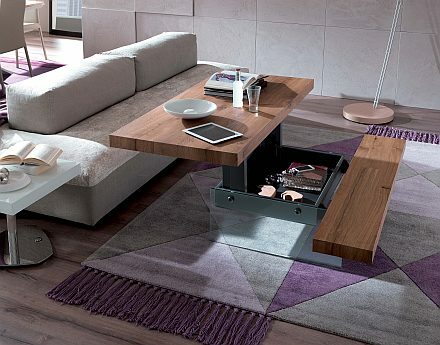 The Markus coffee table (below) could give new meaning to ‘working from home’ (or even ‘working from your sofa’!). 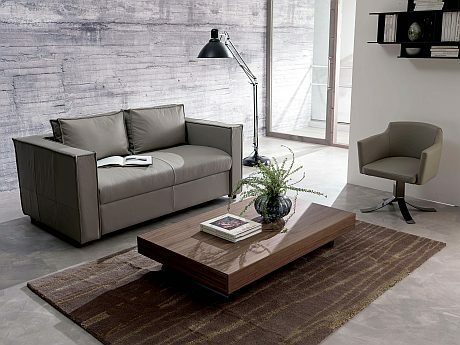 Not only is it a really neat coffee table, it lifts and extends to create extra bench seating, with a desk-high table-top including plenty of space for laptops/iPads etc. There’s even a handy drawer for notebooks and pens. 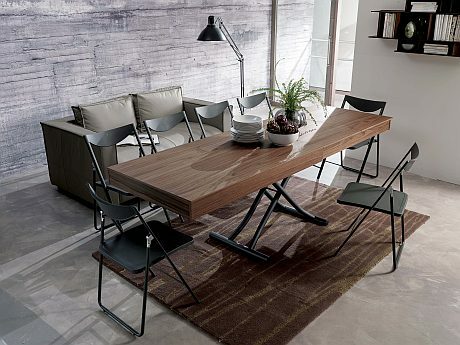 And the beautiful 4×4 table (below) has stolen our hearts. 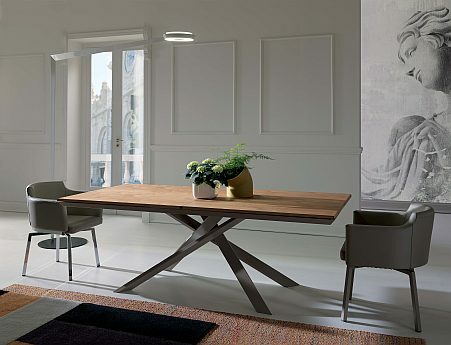 The 4 x 4 starts as a compact dining table, measuring 100cm x 200cm, and ingeniously expands, via a unique geometric opening system, to 138cm x 254cm – providing a beautiful (and rare for a dining table) square shape. Large enough for an extended family meal – or a small conference! And here’s a treat for you – watch the fun Ozzio You Tube video showing a bit of geometric magic.